The Lords and Barons – a touch of Royal pub dining in Kolkata! April 1, 2019 April 2, 2019 Categories Restaurant reviewfood review, foodiedada review, gastropub kolkata, gastropub park street, new pub kolkata, park street pub, royal diner, royal pub dining, the lords and barons, TLB reviewLeave a Comment on The Lords and Barons – a touch of Royal pub dining in Kolkata! Somehow Kolkatans love beautiful architecture, especially if it’s from the Victorian era. The intricate carvings, high ceilings and larger than life structures and architectures have always fascinated us. In fact, most of the iconic Calcutta structures, sculptures and buildings like Writer’s Building, GPO, Indian Museum, Victoria Memorial, etc were built during the British era by the East India Company obviously having a European, somewhat a Greco-Roman touch! And we have somewhat inherited the natural liking for this architecture. But frankly speaking, Kolkata somewhat lacked this touch of heritage in eating places or pubs till date, unless it is an age-old eating house. All set for Royal dining! But a couple of weeks back I discovered this royal touch of the bygone era in a newly opened city pub – The Lords and Barons, which actually made my day! I just kept gazing at the intricate wood carvings, antique stained glass window, high ceilings, wooden furniture from a bygone era, and more! This place actually brings together everything that a Kolkatan lives for – delicious food, good music, royal architecture, and yes, a dose of your favorite spirits. A dose of dreamy cocktails! It will let you go happy high with your loved ones in an unmatched mystical ambiance that you need to experience, words aren’t really enough to express that amazing atmosphere! Basically, Lords and Barons is housed in an age-old building at Park Street (opposite Hard Rock Café) which anyway had all the touches of Victorian architecture and loads of heritage attached to it. The huge place has been redesigned, renovated and revamped (keeping the basic structure and architecture intact) to bring an inimitable dining experience to you; basically they call this a Royal Pub Dining, which you won’t find anywhere else in Kolkata (as of today). It is lavishly spread over three floors though the first and second floors are operational as of now. The first floor is basically café and club where you will find the DJ console, so if you are in a mood to party be here at this floor. The décor of this floor, as already said, is neat, classy and aesthetically appealing! Seating arrangements are well spaced out and the highlight of this floor is definitely the 30 ft long bar counter with a woody rustic finish! The lighting is optimum and somewhat has a Wild West touch to it. Moving to the 2nd floor, this floor is basically for the signature Royal pub dining with Live performances and a private party room, and yes, there is obviously a bar counter at this floor as well. This floor is basically for laid back quiet cozy dining with a drink or two. And then maybe later on after a few drinks, if you want to party and dance, you can just shift to 1st floor, so this place is perfect for every mood. So let’s now focus on the food and beverages – the elements which are keys to the success of any restaurant. Firstly, this place serves you Global cuisine and some lovely cocktails – so you know what to expect when you are there. The menu has got some really nice North Indian dishes which are a joy to savor, so you must try those as well. We started off with Malai Mirchi Cigars and Korean Chilli Garlic Prawns. Well, the cigars were nice but the prawns blew me away. As the name suggests, they were spicy, tangy, garlicky and packed with flavors. And yes, the prawns were really fresh! This was shortly followed by Gandhoraj Fish Tikka, Konkani Paneer Tikka and Spicy Peshawari Murg Tikka. I am not a big fan of paneer so I will talk about the other items. Murg Tikka was nice and juicy with the perfect balance of flavours though I feel Gandhoraj Fish TIkka was the best of the lot. It had that perfect dash of lemon zest which took the dish to another level, perfectly executed and ably supported by the freshness of the fish in there. Moving on to the main course, we started off with a spoonful of Narkel Chingri Risotto and Shepherd’s Pie. I can still feel that Shepherd’s pie in my mouth, it was that good, and I remember I had asked for a second helping. The risotto had a desi touch to it with coconut and prawns coming in, though the final product was nice and subtle, like it should be. I tried the Rareya Gosht next with steamed rice, and that was the highlight of my meal. The mutton was slow-cooked, it was a typical spicy ‘kosha’ preparation with the thick gravy loaded with minced mutton and finished with ground spices, cream and freshly chopped ginger! The preparation was truly royal and it tasted heavenly with warm steamed rice! The desserts came in next and there we found a twist. A Chilli Halwa was served which I was pretty skeptical about. It looked green like the green chillies and frankly wasn’t that inviting, but when I tasted it I felt the looks can be sometimes so misleading. Obviously, it wasn’t spicy and absolutely felt like any other halwa with a flavourful rich feel to it. There was another dessert called American Magic which was ice cream based, and since I was having a bit of cold didn’t try much of it but it looked damn sinful and my friends absolutely loved having it. As of now, I haven’t mentioned anything about the cocktails which I feel are amazing at this place. Very few places in the city give so much attention to their beverages like Lords and Barons do. Definitely try their Nawabi Julep, Popcorn Collins, TLB Granade, and Holy Blood. You can also try the colorful Gin Bouquet if you love having gin. All the cocktails were presented exceptionally well, kudos to the team for that. And they tasted so damn good, and I really mean it. The Nawabi Julep was surely the highlight and best of the lot according to me. It was a whiskey-based cocktail having an intoxicating smokey touch to it that’s sure to bring you back for more! The addition of clove, ginger, betel leaf and other Indian spices took this drink to a whole new level. The service was really warm, prompt and friendly, something which is so crucial in the hospitality industry. I really feel if they can maintain this quality of food and beverages, this place will surely be one of the most visited places in Park Street. Disclaimer: Foodiedada was invited to this place by management/PR for review purpose. Previous Post Sagan Nu Patru Jamva Chalo ji – Parsi Food Festival at Westin, Kolkata! 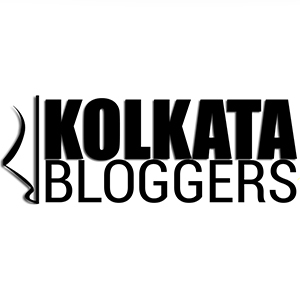 Next Post Top 10 places serving Poila Baishakh menu that you must try!